The Brazilian wonder kid, Neymar Jr., is one of the popular names in the International Football (Soccer). He always limelight in the media not only because of his soccer career but also his high profile affairs and relationships. He plays for French Club Paris Saint-German as of 2018. 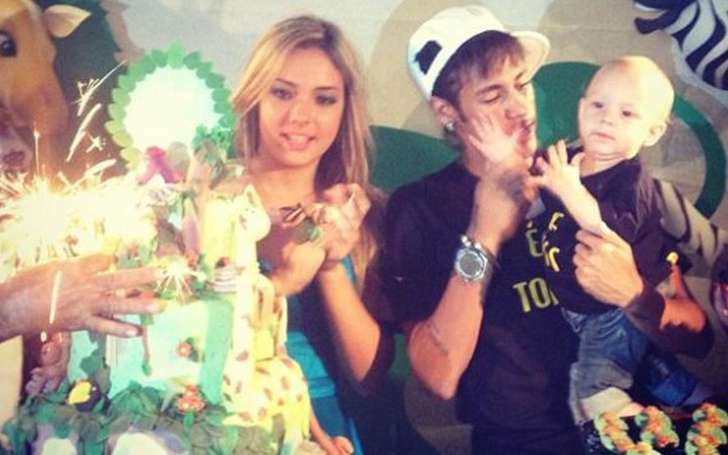 Neymar da Silva Santos aka Neymar Jr. has a son, David Lucca da Silva Santos, with his ex-girlfriend Carolina Dantes. Let's know more about his son and relationships history. Neymar's son David was born on 2011 August 24 at Sao Luiz hospital in Sao Paulo. He weighed 2.81 kg at the time of birth. Neymar was there in the hospital with Carolina at the time of baby’s delivery. David Lucca is now 6 years old. 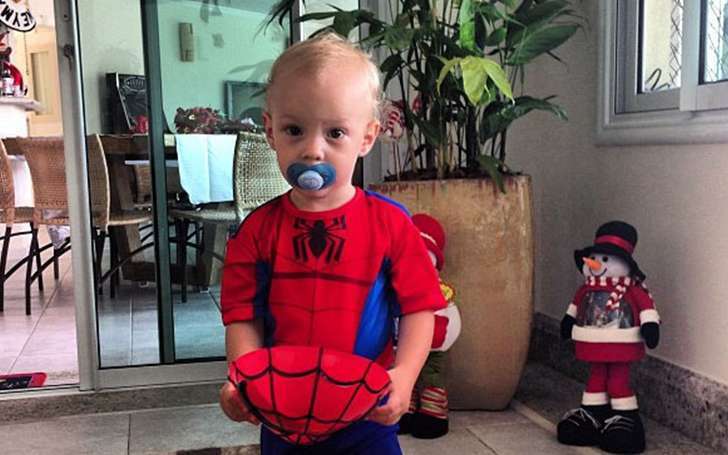 The couple had initially planned to name their son as Matheus but ended up with the name David Lucca da Silva Santos. David was born out of the wedlock from Neymar and Carolina. Neymar is a sensational Brazilian footballer. Neymar has gained the soccer abilities since his father being inspired by his father Neymar Senior is a former samba footballer. Not only the football skills, he is also a good daddy to his son David. Neymar Jr. became a father at the mere age of 19. Even though he became a father at such an immature age, he is a very kind and responsible father. He is fulfilling every responsibility that a father has towards his child. Neymar is not in relation with David’s mother Carolina Dantas but he is concerned about his baby as he loves him very much. Here are the five never heard facts about Neymar, you may be interested to know. David is seen with his father Neymar on the football pitch on the training ground and at different children’s spots playing with his father. Neymar and David make funny poses and funny expressions in the photos which are often uploaded in the Neymar’s official facebook and twitter accounts. According to a source, Neymar said “I cried when I learned that I would be his father. At first, I felt fear. Then joy. It is a new responsibility, and I am now enjoying it. "Neymar is fulfilling his commitment towards his son very sincerely. Carolina Dantas is a beautiful Brazilian Woman having blonde hair and pretty blue eyes. She is roughly one and half year younger than Neymar. Carolina Dantas was born on 1993 May 27. She has graduated from Colegio Adventista de Santos in 2011. The couple dated for a couple of years in the past but now is not together anymore and had never got married to each other. David spends his time with his mom as well. They go on the beaches and different places together. Carolina often posts her pictures with her son David on her twitter and facebook account. She has the pictures of her uploaded in the facebook when she was pregnant as well. The official custody of David has not been revealed yet. Thus, David Lucca shares his time with his father and mother even though, his parents are not together anymore. Like this he is getting the love both from his parents while parents love is essential in the growth of a child. There have been lots of his pictures with his mum and daddy dear on the internet. David plays football with his father Neymar and like such Neymar is training his son since this kinder age to be successful footballers in the future like him.